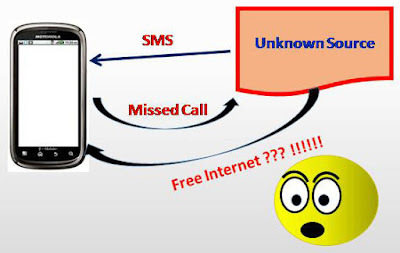 Give a Missed Call on 18002661100 to Get Free Internet ? If you want free Internet in country, please support us by giving a missed call on 18002661100. The missed call number may be 1800 270 6899. Some guys get a call and says to press any key to support free internet on India. After getting this message, I was searching the source of this message. Because message does not contain any sender number or name. Some sms contains a text like ‘COAI supports Sabka Internet’. In internet forums many are saying different opinion about this. Most are saying that these messages are by some mobile network providers like Airtel, Reliance (mainly Airtel) and they make this survey to support against net neutrality. It is a network rule consists, all internet users treated as same in data usage charges for browsing internet, applications etc. In India, it is a new rule made by government and TRAI, so every network provider should realize a common internet data usage charges. For example, the rate for 1 KB should be equal in all network operators India, or charger to get 1GB of mobile data should be a unique rate. This includes provider should treat all users equally. So some provider cannot provider free internet facility for specific applications or sites like WhatsApp, Facebook, Twitter etc with help of free internet providing platform like internet.org. Why do they conduct this missed call procedure? Some of network operator like Airtel, Reliance, Tata docomo provide free limited access to some sites and applications like Facebook, WhatsApp, Twitter, etc. By giving this free service, many of customers are interested with their service. But giving free services to specific peoples are against net neutrality. So actually this survey is against net neutrality. What happen when we call to such numbers? In such sms they say, by giving a missed call, you support affordable internet over the country. But actually they create a list of peoples who against the rule net neutrality. After conducting this activity, they can show a list of mobile numbers who against net neutrality in front of TRAI. What should we do if we get a message or sms? Actually I am not against providing free internet for specific applications or sites. But if the net neutrality is a rule by TRAI, then by giving a missed call, we support against the rule. After the implementation of the rule, the rate of internet cost may decrease, or it may increase like increasing the rate of fuel J. So I have no specific opinion to manage this sms or call. All above points are obtained from other peoples on internet and from my opinion. No proof or evidence. Net neutrality is not against providing free internet over India. There is no proved source or aims behind this message or call (because this has no name of sender). This message may be a spam and they may collect your active presence by giving a missed call. They may use your mobile number for advertisement purpose due to your active responses to such messages and calls. So be careful.. Surely it has a hidden agenda..